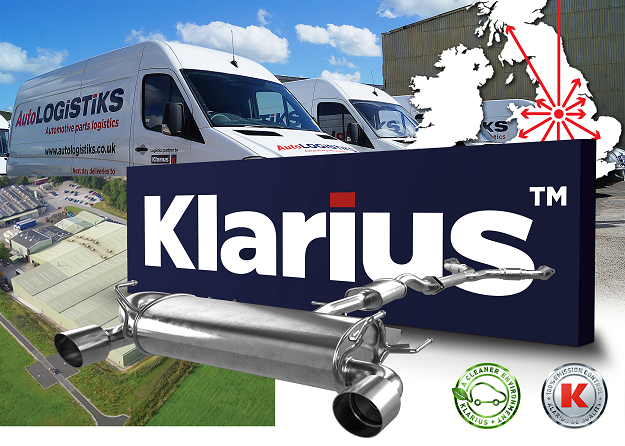 Klarius Products is the UK’s largest manufacturer of emissions components including exhausts, catalytic converters, diesel particulate filters and associated mounting components, in addition to a host of other products. The R&D Centre is based at the company’s 13-acre site located in Cheadle, Staffordshire, and has the capacity to prototype cast, fabricated and formed tube and wire products in addition to producing an entire production line, including the tooling and machine tools as well as offering full emissions testing on a rolling road and dedicated test track. Klarius has created its own logistics set up in order to ensure the delivery of its products is as efficient as possible. Working hours in the warehouse have been changed, with orders being taken up until 5.30pm, pickers coming in at 6pm, and drivers leaving at 4am the following morning to deliver to customers before 10am. Klarius’ drivers can also take back any surplus parts, all of which means that customers don’t have to carry as much stock. KMT Machine Tools is a specialist in turnkey design, manufacture and overhaul of automotive production machinery and bespoke fabrications. This includes everything from the jigs, tooling and handling equipment to special purpose machine tools with the latest automation features. Emissco is a contract manufacturer of aerosol and bottled products for the industrial and automotive sectors. This includes producing a range of own brand products in addition to the in-house ProK branded items. AutoLogistiks is a UK-wide parts stock and distribution service that delivers to 600+ locations by next morning for orders taken by 5:30pm. It operates an exclusive van fleet that takes extra care of its cargo. The business also operates a virtual warehousing, sales and distribution service for exclusive brands such as SW-Stahl tools, and a host of other auto parts. The company’s 20,000m2 warehousing facility operates 24 hours per day with direct links to customer supply systems.